Home / Internet / why we use youtube h in life? 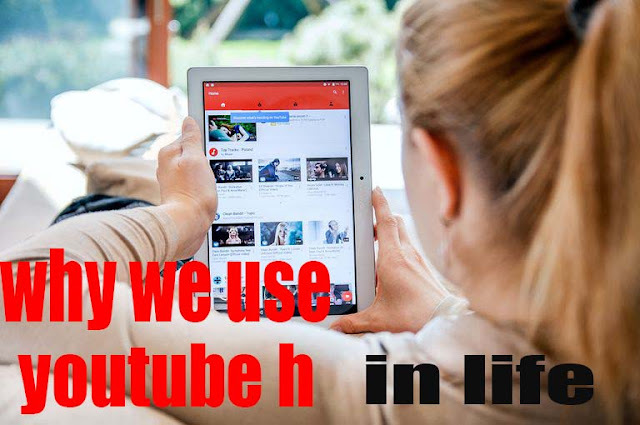 why we use youtube h in life? 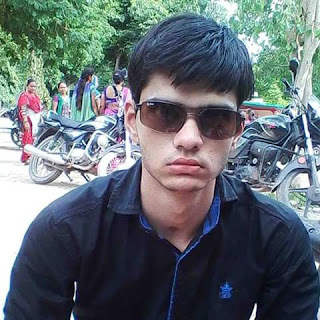 Hello Friends, I am Hemang Kathiriya. This article about "why we use youtube h in life?" Youtube is a great social media platform. In today's life, It has possible to learn anything. It doesn't matter wherever you live. You just have a mobile or computer with an Internet connection. If you didn't check our previous post "why we need meditation to succeed in life?" then read it. Now, this generation is very lucky because it has an incredible weapon which we call the Internet. The Internet is a very useful tool if you use it with a positive mindset. 5-year-old child to a 55-year-old senior citizen can do things without anyone's help. I want to share my experience with you. My maternal uncle's daughter who is only 3 and a half year old. Actually, my uncle has a 2 daughter. But her younger daughter is quite a good camper to her sister. Though she is 3 and a half-year-old she uses the internet and watches videos like other little children like whose age around 12 to watch. She not only watch one video again n again but also watches other related videos. If a video is not good then back to another video. You know she is only 3 and a half year old. And do these type of things. Sometimes I notice these situations and think that how much technology grew up. Anybody can handle it easily. Right!!! The help of this tool you can increase your memory power. There are so, many videos on youtube. There are so thousands of videos to related your Categories. 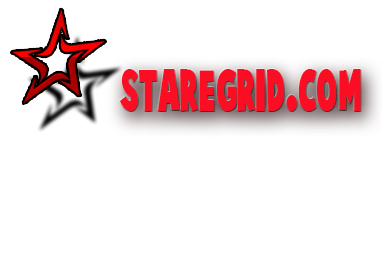 You can find any videos and watch them and increases your memory power and your value. In this century everything can possible with the help of internet. When you learn something and know by using videos. It keeps in your mind for a long time. If you get good knowledge, You can teach others. "Everything is possible if you want to go farther"
In my case, I am a non-graduate person. One day my brother told me that you should build an android game. You can build a good career in it. I thought yhaaa. It's a good idea. When I knew that you have to be known about programing language. Like C#, java, python etc… I blank for a while. My brother told me don't worry, There are lots of video tutorials about c#, java, python etc.. Programming language on youtube. After heard those words. I felt television. "In some critical situation Internet very useful to understand How the things work"
You can get training Without going to any institution and give good money for its basic training. If you like to make friends and like to talk with others and like go outside of your home then you can go classics and other institution. But In today's life till when Internet has come in our life. We get distracted easily. It is becoming hard to build focus again. Your focus will break when you learn with many people. When they will ask you like "What's time or explaining you they lecture is burning etc.."
And sometimes you can understand lecture properly so you have to request to sir or teacher, please teach these things because I can't understand yet. You make this request more than one time. Isn't it? In the institution or other classes, there are lots of students and people who have similar problems. After what, Teachers and sir's don't have enough time to teach you. So, in this case, youtube is the best teacher. Anybody can learn anything from youtube. If you can't understand properly then repeat video more than one time and also watch other related videos. It is the biggest advantage for students. They can learn with full freedom by using youtube. It is very easy to understand things on youtube that how things are work or learn different courses. I think this generation's students are very lucky. They have an opportunity to use ….internet. To learn about new things, the study materials are easily available on the internet. They learn things quickly by using Youtube. "People learn quickly through videos and youtube is a great tool for that"
I have learned c# language through youtube also. I'm not a graduate student. So, I don't know about C, C++, C#, java, python etc… languages. I was scared because I want to be an android game developer. For that, I have to understand language. At that time, I was advised by my brother about youtube. Now I can understand about one language C#. One thing I notice, Student are aware of the internet, use youtube but not properly. When they search on youtube about particular coerce and learn things what they want at that time some entertaining and useless, timewaster videos suggested by youtube. Some students which have control on their mind. They don't focus on and do what they need. Some students can't control their mind and click on other videos. So, make sure you have a good control of your mind. Human beings learn quickly through video. Youtube is the perfect tool for it. Why I'm saying like this! You will be understood. People watching videos which are not beneficial but watch them for relaxation. Which are good. But watch this type of videos more than 4 or5 times. It means you west your time. This kind of videos leads your mind to other direction. Which is west of your time. You have to know your time. Especially students, you will have heard that "Time is Money" Most of the student don't give value their time. I want to say to them that, your time is valuable, your time is valued more than gold. So, spend your time as a money. It's about Time west I Thing the biggest disadvantage of youtube is time west if you can't control your mind if you have a negative mindset. you need to do some exercises, meditation to make a peaceful mind. And also help in taking action in life. I also share youtube's dis-advantages on other articles.